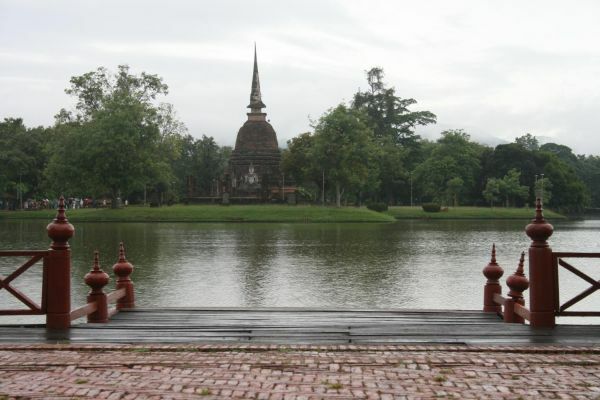 Shortly after I arrived in Chiang Mai, my kind hosts drove me down to Sukhothai, to stay for a night. 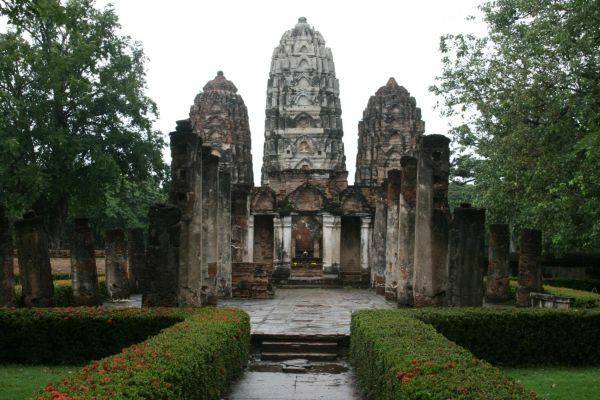 Sukhothai is about 5 hours south of Chiang Mai. I was impressed by the roads - they were almost entirely dual lanes in both directions, and considerably better than we would get in New Zealand. 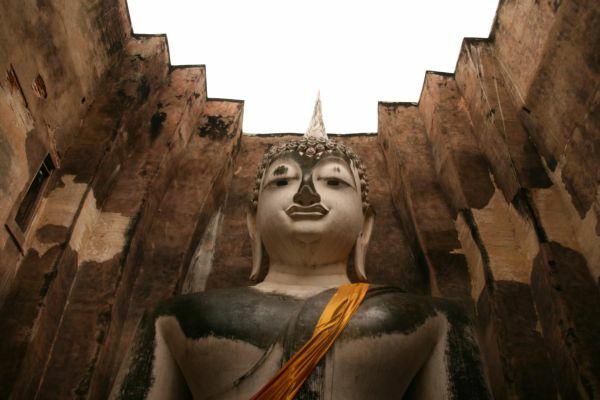 On my previous trip to Thailand, I visited Ayuthaya, which is an hour north of Bangkok by train. There are strong similarities. Both are ruined former capitals, with buildings that date back centuries. Both span quite large areas. And the ruins look similar. So, which is better? I can't really say - they're both a good visit. The grounds at Sukhothai are prettier, but Ayuthaya has elephant rides. 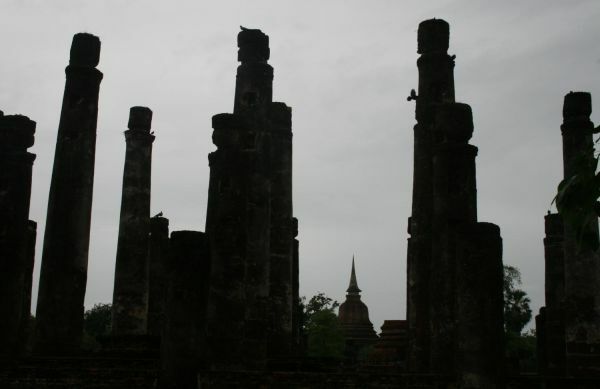 I think I got better photos of actual ruins at Ayuthaya, but more pleasing photos overall at Sukhothai. Basically, either one is worth a visit. We hired a tuk-tuk, which took (took) us around the various sites. 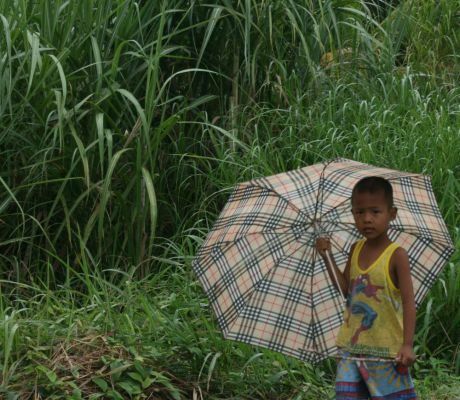 It rained a bit, but it doesn't matter much in Thailand. You may get wet, but you don't get cold. 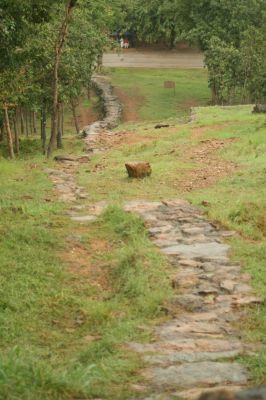 The path up to a shrine on a hill. Why do they all have to be on hills? 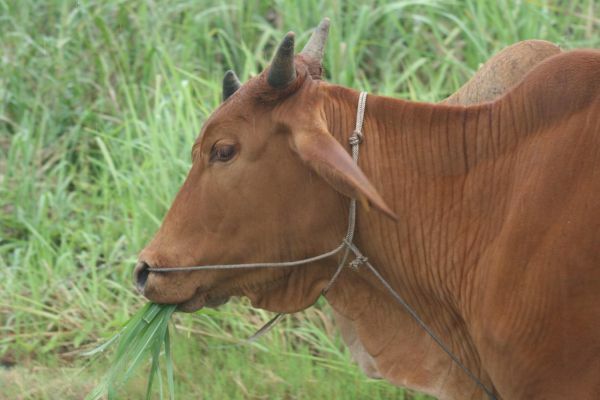 A cow (from the tuk-tuk). Moooove it! My hosts showed their usual canniness at finding a good place to stay. 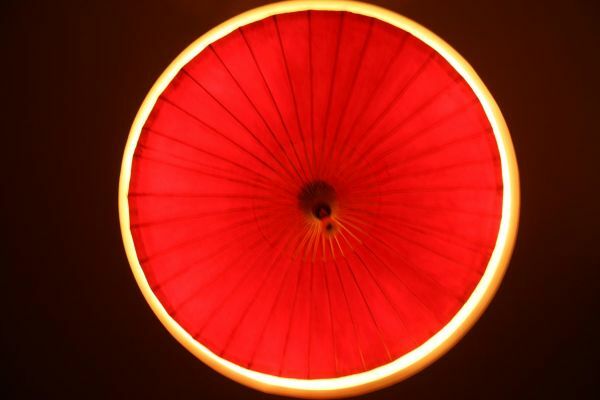 The little boutique accomodation that they found had circular holes in the ceiling where there were large paper umbrellas with lights behind them.